There’s a reason why palm oil has been consumed for more than 5,000 years in Africa. 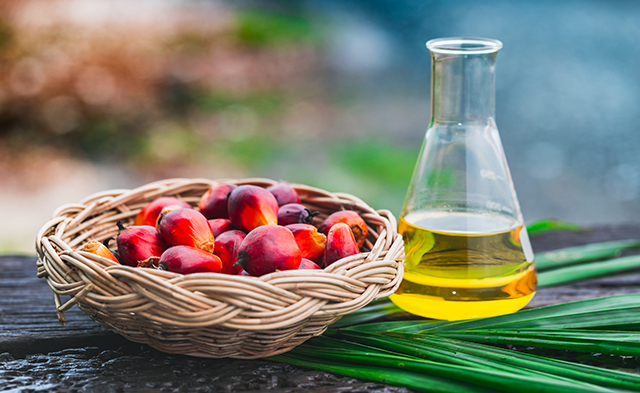 Extracted from the fruit of a palm tree, this oil contains pretty much the same amount of calories and fat. But what sets this apart from other oil choices is its breakdown of saturated and unsaturated fats. It’s one of the most affordable oils in the world. In fact, it comprises one third of the global plant oil production. Palm oil is a popular ingredient in many countries. A good reason to switch to palm oil is that it does not contain as much trans fat as other varieties. Using palm oil for cooking is a good healthy choice. It’s also good for pregnant women. You can get a great deal of antioxidants from palm oil, like beta-carotene, which is vital for improving vision. The antioxidants are a by-product of cellular metabolism that protects the body from the bad effects of free radicals. These antioxidants help prevent the eye damage that results to vision problems, like cataract and macular degeneration. Beta-carotene is also helpful in increasing energy levels and boosting hormonal balance. With 2.17 mg of vitamin E for every tablespoon of palm oil you consume, you get 14 percent of the daily recommended value, making it an excellent source of this antioxidant. And we know how beneficial antioxidants are to the body: They protect the cells and reduce the risks of certain health problems like heart diseases and cancer. Tocotrienols in vitamin E, in particular, support brain health. Some studies have found that palm oil has the potential to slow down dementia and prevent the growth of brain lesions by protecting the delicate polyunsaturated fats found in the brain. One study of 121 people with brain lesions showed that daily intake of tocotrienols helped maintain stable levels of brain white matter and didn’t experience lesion growth. Tocopherols, another type of vitamin A, are natural antioxidants that help prevent the mutation of cancer cells. Additionally, palm oil has sufficient HDL and LDL cholesterol. LDL, otherwise known as bad cholesterol, is responsible for an increased risk of atherosclerosis. Palm oil’s nutritional content helps balance the levels of HDL and LDL cholesterol to protect your heart. Furthermore, it contains unsaturated fats that can be good for the heart too. Increasing your intake of this kind of fat can reduce the levels of bad cholesterol, according to the American Heart Association. 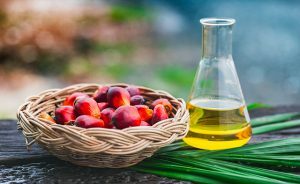 A comprehensive analysis of different studies found that the total and LDL cholesterol levels were significantly lower for those who consume palm oil-rich diets. Palm oil contains other nutrients that are helpful in protecting the heart, like omega-3 fatty acids. Studies have found that these reduce inflammation, which makes them effective in preventing heart disease, arthritis, and even cancer. More importantly, these polyunsaturated fats are highly concentrated on the brain, where it does a lot in helping improve memory, behavioral and cognitive functions. Another helpful nutrient present in palm oil is vitamin K, which helps the gastrointestinal tract and blood circulation. This promotes blood clotting, which seals off wounds from the inside. Without enough vitamin K, even the slightest wound can lead to massive blood loss, so it’s important to have enough supply of vitamin K.
Palm oil does a lot of good to the body. It’s great for the eyes. Its nutritional content can ensure you have healthy vision and keep you safe from cataracts. Then there’s the skin. Vitamin E is one vital nutrient in keeping healthy skin. This nutrient works on the free radicals present in the body and keep them from destroying your skin. Similarly, vitamin E can reduce your risks of cancer and heart diseases. Moreover, regular use of palm oil in your diet can keep you safe from cancer. You can also protect your heart with this healthy choice for cooking oil. Its ability to balance cholesterol levels and keep blood circulation healthy should make it easier to avoid heart attacks and strokes. The most common way to enjoy palm oil is to use it for frying but you can also use it on salads, sandwiches, pasta, or as barbecue sauce. We have found some recipes that use palm oil for you. Palm oil improves your vision. Palm oil helps prevent certain types of cancer. Palm oil protects your heart. Palm oil boosts brain function. Palm oil fights free radicals to boost your immune system.